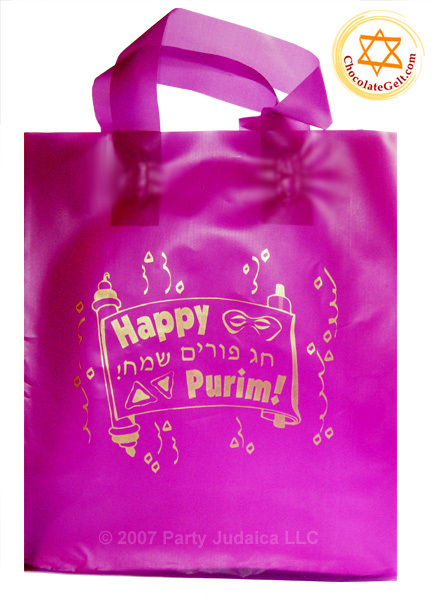 ABOUT THIS PRODUCT: THIS ITEM IS SHIPPED ONLY IN THE USA If you are planning to order our Purim bags and need a sample, please order it online - it is free and there is no shipping charge. Thank you. Size of these bags is 8 x 5 x 10 inches. There is a cardboard insert on the bottom. This sample is free - please go through checkout process (select "check" as payment method) you will not be charged, order total will be $0.00. Free shipping and more discounts! 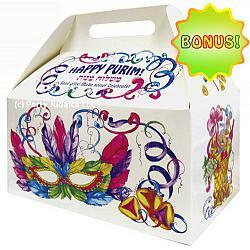 Chocolategelt.com is your online source for Purim Bag - Free Sample. We serve schools, synagogues, non-profit organizations, as well as individuals. Purim Bag - Free Sample sold retail and wholesale, you can see price break depending on quantity you buy on each product page. Our popular products are dreidels, chocolate coins also known as gelt, candles and party gifts for Chanukah. Our selection also includes wide variety of Purim supplies Thank you for shopping at our store!